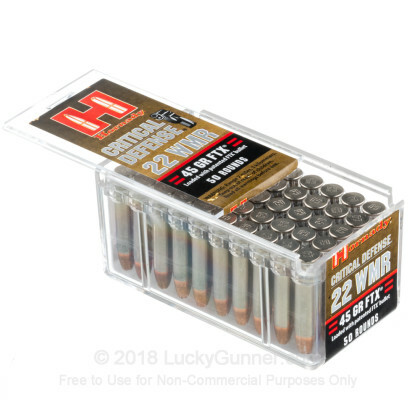 Hornady's latest introduction to their critical defense line is the 22 Magnum cartridge specially designed for short-barreled firearms. The critical defense flex tip technology is especially designed to penetrate through thick clothing such as denim making this a great concealed carry load. The propellants used in this cartridge are specially formulated to minimize muzzle flash reducing night blindness. Additionally, this cartridge features a nickel-plated brass case which is more corrosion resistant than traditional brass. This cartridge is great for both handguns and rifles and it delivers devastating terminal performance. Hornady ammunition is still a family owned company headquartered in Nebraska. I’ve shot close to 250 rounds of this load through my S&W 351C. No misfires, shoots to point of aim. 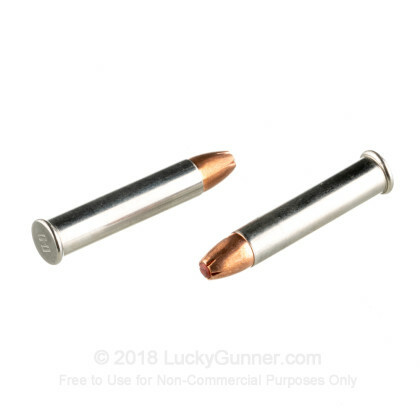 It is clean, little or no unburned powder, clearly designed to be used in short barrels. I fired four rounds into some defrosted water gel cooler packs you get in shipments from Blue Apron. I found them about 12 packs in, all but one expanded well. 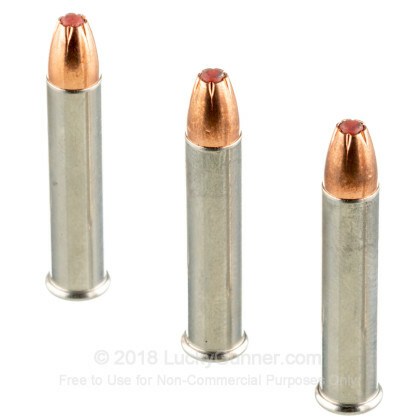 I’m not sure I’d carry a .22 Mag as my primary weapon but I do leave mine loaded with these. 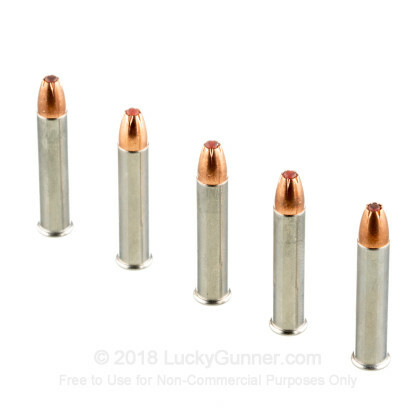 The whole notion of 22 magnum as "critical defense" ammo is ludicrous. I guess it's better than no gun. 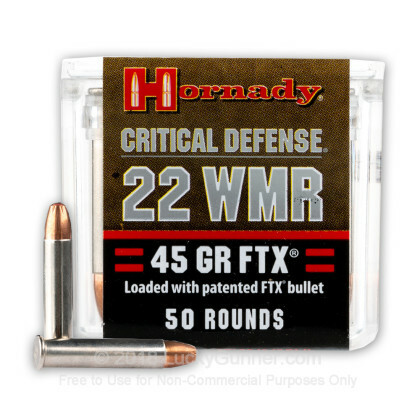 Editorial aside, this Hornady 22 WMR ammo is top notch. I will buy it again when I see it. Q: Surely a mistake Hornady critical defense with 100 lbs muzzle energy??! 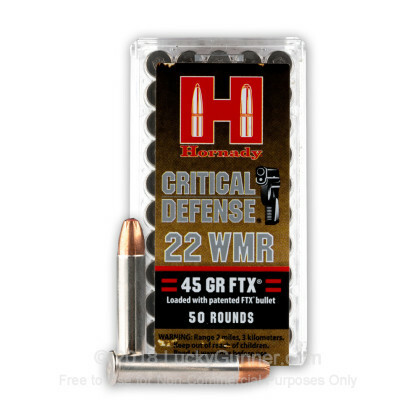 We also have this 22 WMR - 45 gr FTX Critical Defense - Hornady - 2000 Rounds ammo in stock in a bigger quantity.